Alsav Electrical Services Ltd - Alarms/Security, Electrician based in Albrighton, West Midlands. 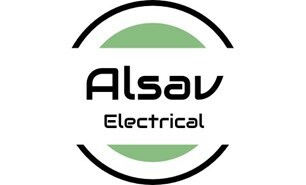 Be confident in choosing Alsav Electrical for your electrical needs. Call us on 01902 373838 for a free quotation. Fully qualified, our electrical installations are NAPIT approved for workmanship excellence, insurance and guarantee and CHAS accredited for Health and Safety confidence. Electricians are ECS (electrotechnical certification scheme) qualified. All works provided, from fuseboards and testing to security, heating and renewable systems. A family business that will manage your electrical installation from quotation to completion.